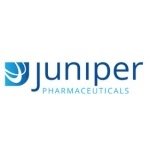 Juniper Pharma Services is an innovative and nimble Contract Development and Manufacturing Organisation with twenty years’ experience resolving some of the toughest formulation challenges. We are a company led by science, service and compliance, and our mission to improve the lives of patients drives our commitment to successfully deliver for our clients. We specialise in small molecule development for oral and topical dosage forms and offer services spanning preclinical to commercial development and manufacturing. Combining the latest technologies and newest approaches, Juniper Pharma Services transforms promising molecules into successful products for unmet medical needs.